How do you go about exchanging your foreign currency before your trip? Take it to The Post Office, a local Travel Agent or buy it at the airport? With so many options available to us now, knowing where to get the best deal can be tricky. It’s true that purchasing your currency at the airport can be one of the priciest ways to do so, but not if you pre order online! Travelex have teamed up with Manchester Airport to bring you 45 worldwide currencies over 6 desks, kiosks and collection points throughout the 3 terminals. Take advantage of the their online rates, lock them in and then simply pick up your currency at your chosen point in the airport. It’s as easy as that! 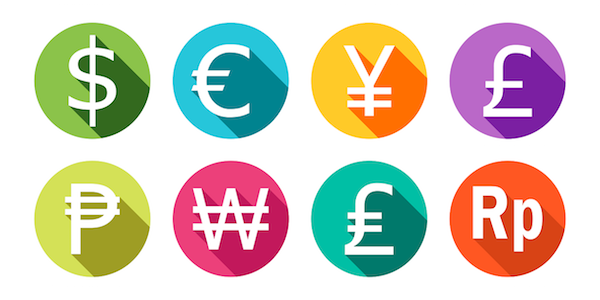 One of the newest additions to the travel money market are pre loaded, or prepaid, currency cards. The cards are essentially like a debit card which you top up with currency of your choice and spend on like a normal card. The Travelex Money Card allows you to store as many of the 10 available currencies available as you like and also offers 24/7 assistance should you need it. Visit our Prepaid currency cards page for more information on the cards avaialble and how to apply. As with most credit cards, there a several options available to you and each one will have different perks. Pick your travel card as you would your regular credit card, keeping in mind credit limits, interest rates and applicable charges. If you opt for a credit type card, make sure that the terms and conditions remain the same regardless of where you use it and how long you have had it – the terms on a card taken out 3 years ago may be different in 2017! This handy guide from Money Saving Expert is a great tool to get you started. Avoid all hassle of queuing and last minute panic by purchasing your currency online and having it delivered to your home. Most Foreign Exchange providers offer free next delivery too, but it’s probably still wise to order a week or so in advance!